ISBN 9780786685592. 8.75 x 11.75 inches. Bach's cello suites are among the most famous solo instrumental works of all time. The cello and the tenor banjo share the same tuning, and banjo players might be surprised at how well this great music fits on the fretboard. 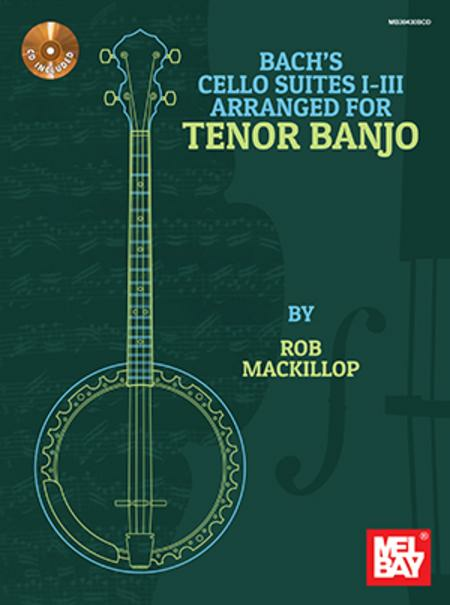 Rob MacKillop has provided tablature for the first three suites. Here is a chance for tenor banjo players to explore Bach on their instrument, which could be tuned to either regular, CGDA, or Irish tuning, GDAE. 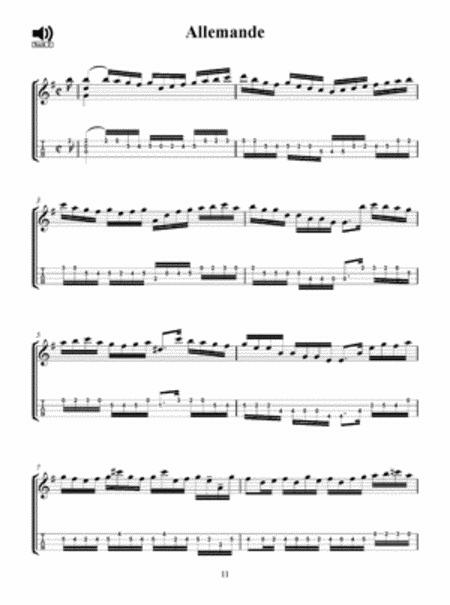 Accompanying audio is included, using three different tenor banjos: a regular tenor (Deeringr Eagle II), a gourd tenor (Jaybirdr Banjos), and a cello banjo (Gold Toner) which has the same low pitch as the cello.A `suite' is a collection of dances of varying speeds and time signatures, conceived to be performed as a whole, and preceded by a prelude. Bach's Prelude to the 1st Suite is magnificent and justly famous. The Bourree from the 3rd Suite is also very popular. Enjoy playing Bach on the Tenor Banjo!